In January 2019, Land Rover introduced a Fixed Price servicing package known as ‘100% LAND ROVER’, this being marketed as a dedicated service for Land Rover vehicles over 3 years old, offering the standard 2-year warranty on parts and with prices starting at a headline grabbing ‘from £275’ which will include VAT. We at Rovertune have looked into this very closely as it is clearly a service being offered in the hope of enticing customers away from the Independent Land Rover Specialists back to the manufacturers Main Dealerships. The scheme has to be looked at very closely as it only applies to specified vehicles manufactured either in, or between, stipulated time scales and does not include every Land Rover vehicle over 3 years old. This fixed price servicing is carried out at a very much reduced dealership labour rate and only includes specified parts, i.e. engine oil, oil filter and pollen filter within the Interim service. The addition of air filters will be installed on Major services as well as the interim service for specified Freelander 2 and Range Rover Evoque models. All other parts and fluids (apart from the 2.4 TDCi Defender where axle oils are part of the fixed price scheme) normally included at specified service intervals will attract additional charges, as will the labour to fit them and this will be at the much more expensive standard dealership rate. Brake fluid changes are included in the service price for the 5.0 litre Range Rover and Range Rover Sport, but all other brake fluid changes are at additional fixed prices. This scheme will also include the normal safety checks on each vehicle within the fixed price. 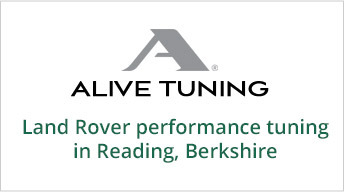 Rovertune are in 99% of cases able to offer customers cost savings (in some cases considerable savings) to those identified within the Land Rover Fixed Price scheme for Servicing, Cambelt changes, Brake Fluid changes and Front Wipers, when calculated on a like for like basis with the Land Rover scheme, whilst still providing our exceptional customer service and high quality workmanship. Also, it is worth noting and remembering that any items which will require additional costings are carried out at our standard labour rate of £79.00 per hour against local dealer rates of around £145.00 per hour (both figures subject to VAT). Therefore overall cost savings could be substantial. If you have been offered one of Land Rovers fixed price servicing packages and would like to see how we compare please feel free to contact us. We will be very happy to discuss and agree your specific requirements.